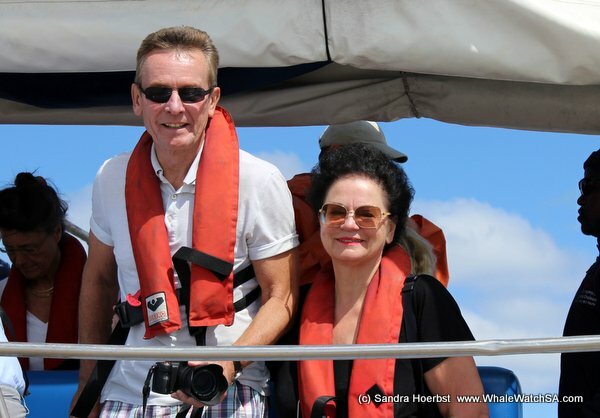 The weather was nice, we had sunshine throughout the whole day. 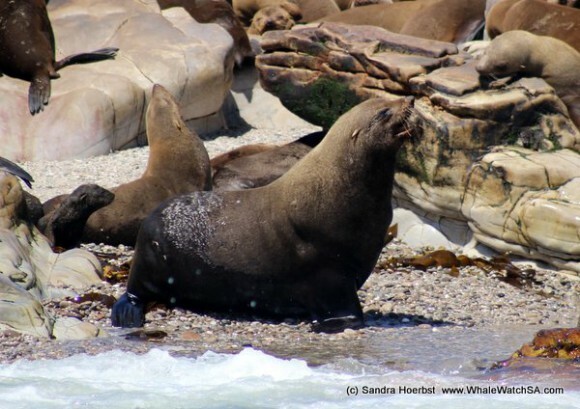 Today we went to see the seals on Geyser Rock first. 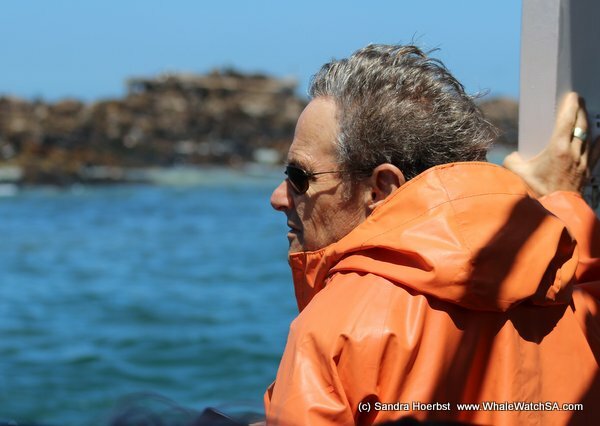 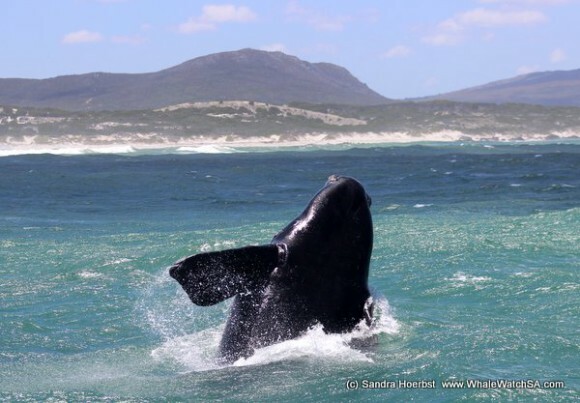 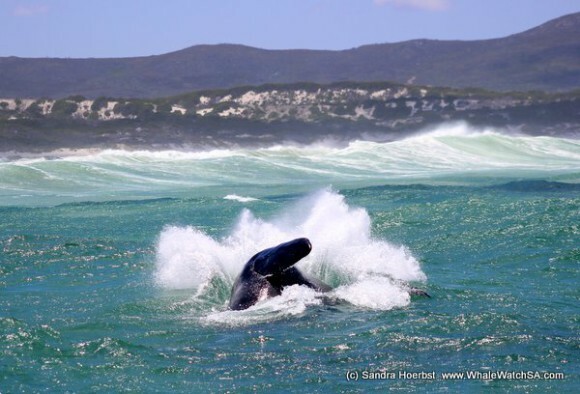 After spending enough time looking at the Cape Fur seals in the water and fighting on Geyser Rock we were heading towards Pearly Beach to find our Southern Right whales. 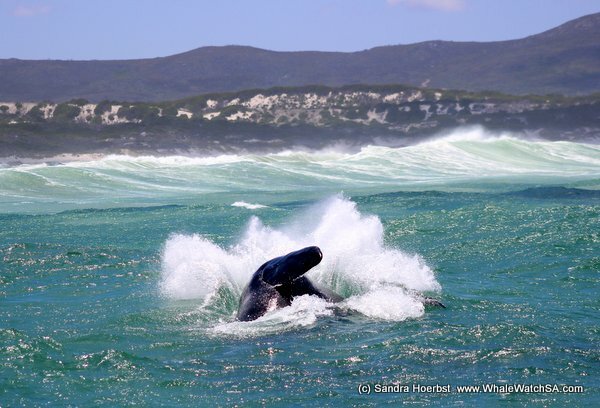 In the whale watching area we found a playful calf which was breaching for us several times. 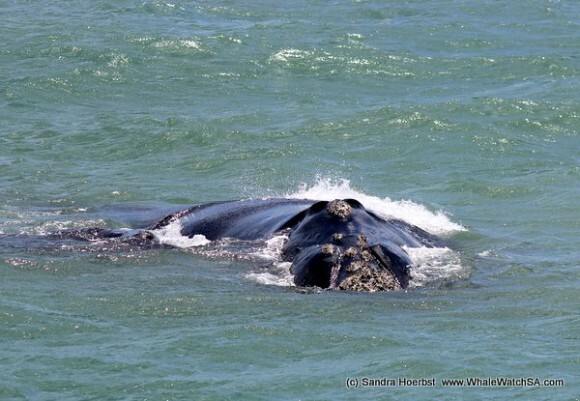 The mother was relaxed and watched her calf playing around our vessel. 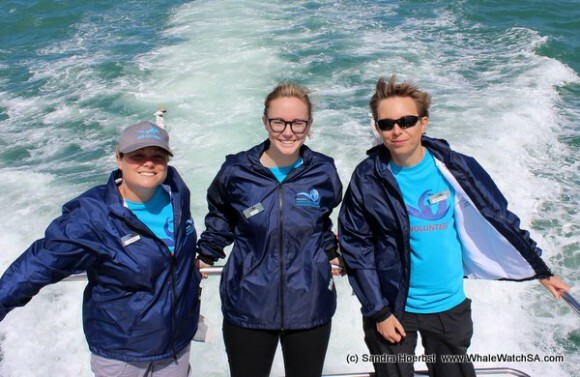 On the way back we passed our sister company Marine Dynamics, to see a Great White shark.